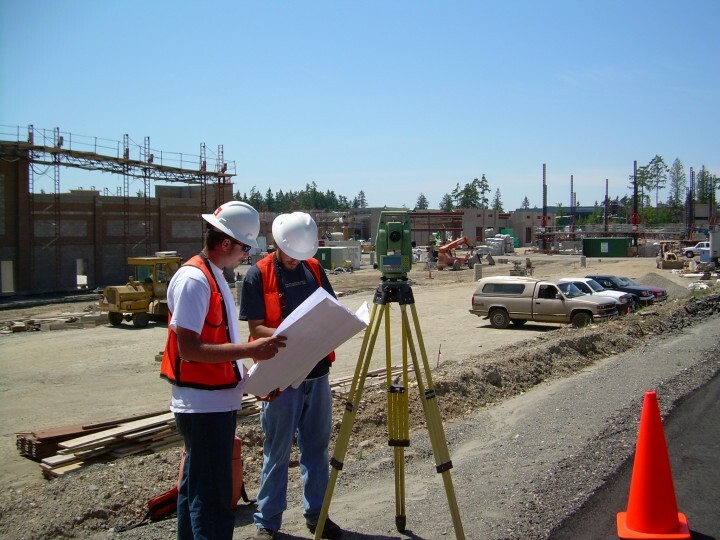 Since 1991, Meridian Surveys, Inc. has been working with government agencies, architects, engineers, planners and private property owners on projects both big and small. Our mission is not to meet your expectations, but rather to exceed them EVERY TIME. How do we do this? We learn about you and your project. We want to make sure that Meridian Surveys gives you exactly what you need. Are you not sure what you need? That’s fine too. By discussing your project with a member of our professional staff, together we will determine the best course of action to meet your project’s needs. Our collaborative approach allows Meridian Surveys to be productive with our resources. This efficiency translates to savings for you. By giving you what you need the first time – on deadline and accurately – your project is not delayed by extra trips to the job site, multiple edits to drawings, extra fees to government agencies for refilling documents, etc. Does Meridian Surveys want your business? Of course we do!! However, we do not believe in upselling customers unnecessarily. If you ask us to prepare a $5000 survey when a $500 will meet your needs, we will tell you. We value your wallet – and our reputation — too much to gouge you just because we can. That is not how Meridian Surveys operate. When you give us a deadline, it will be met. It is that simple. If you have a “fire drill” project, most of the time we will be able to help. But if for reason we cannot meet your time table, we will tell you, up front. We are not going to say “sure no problem” only to drop the ball for you. Meridian Surveys is a company you can count on. Meridian Surveys Inc. is founded By Stephen and Susan Wenthold as a land surveying firm based in Gaithersburg, MD to provide surveying services to residential real estate businesses such as title companies, law offices and real estate agents. Steve also took with him a long list of clients from his eight years as Vice President of the Rockville, MD office of Kidde Consultants. Meridian Surveys quickly outgrew its humble beginnings in a bedroom of the Wenthold home and moved into it first office space at 2401 Research Blvd in Rockville, MD. It was at this point Meridian Surveys added planning and land development services with its formal partnership with landscape architect Norman Haines of Haines Land Design. Again, as a result of client base and project scope, Meridian Surveys expanded to a new office nearly double the size at 811 Russell Avenue in Gaithersburg. During this height of the residential real estate market, Meridian Surveys was preparing over 1000 location drawings per month. Meridian Surveys expanded it service area by opening a satellite location in Lanham, Maryland where Meridian Surveys continued to grow and offer professional services to a larger region. While working with A. Morton Thomas Consulting Engineers on various projects throughout Maryland, Meridian Surveys served as the primary design survey team for the Comcast Center at University of Maryland in College Park. Meridian Surveys is selected by Bell Atlantic Mobile (now Verizon) and Cellular One as the surveyor of choice for preparing FAA tower certifications and as built surveys for all of Maryland and northern Virginia. In 1997, Meridian Surveys obtained the capacity to perform GPS surveys. Meridian Surveys works with Delon, Hampton and Associates on the complete restoration and remodeling of McKinley Technical High School in Northeast D.C.
Meridian Surveys is selected by Potomac Aerial Surveys to provide GPS aerial control for over 40 airports throughout Maryland, Virginia and West Virginia. Meridian Surveys worked with the Anacostia Economics Development Corporation and the Greater Washingtonian Development Corporation on the redevelopment and rehabilitation of several apartment buildings in underprivileged areas. Meridian Surveys chosen by Montgomery County Public Schools Division of Construction to be the surveyor of record. Meridian Surveys has provided surveying services at over 100 school sites for Montgomery County Public Schools since this partnership began. Meridian Surveys celebrates its 20th year in business. To better serve the northern expansion of the Washington, DC suburbs, Meridian Surveys relocates it offices to Frederick, Maryland. Meridian Surveys welcomes Michael Wenthold as a second generation family member. Michael brings his marketing background and M.B.A. to the management team as the company’s Business Development Coordinator.